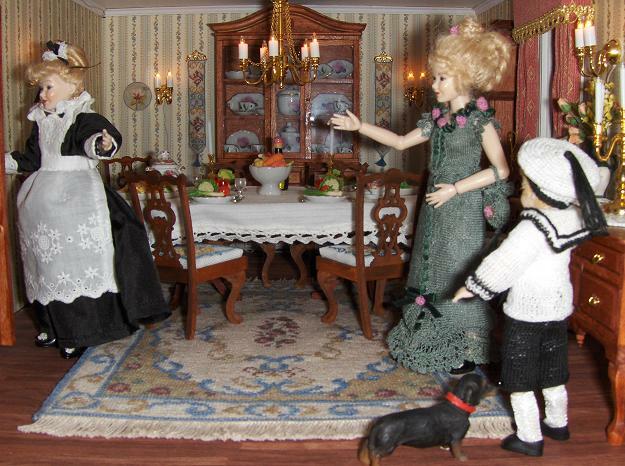 Dorthe is from Denmark, and has a gorgeous doll’s house, filled with her miniature embroidery that she has done from my kits. This room shows a collection of ‘Barbara (green)’ matching items. 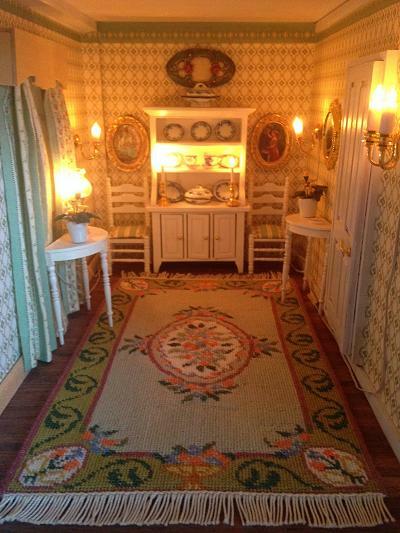 Not only has she stitched the large version of the Barbara carpet, the bolster and square cushions, a bellpull, and a chair seat pad from a dining chair kit, but she has also taken the small central motif from the small Barbara carpet and made two round cushions with crocheted edgings! Isn’t she clever?! In this busy hallway, where the family have just got home, there is a “Patricia” carpet on the floor, which co-ordinates really well with the wallpaper. This stylish dining room features the “Judith” carpet and matching dining chairs. On the back wall are two bellpulls, which are adapted, shortened versions of the usual ‘Judith’ bellpull kit. 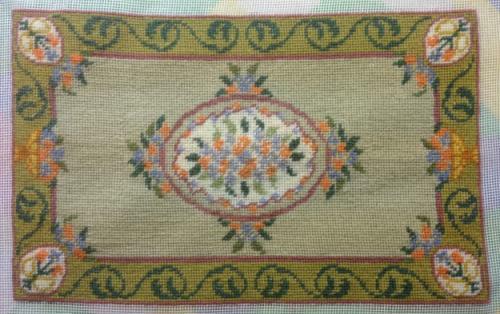 Dorthe has just sent me these two images of the Lilian carpet, which she has stitched from a chart pack to her own choice of colours, and it has come out beautifully! The original is in shades of pink and cream, and can be seen HERE. Dorthe’s version is in soft olive, grey-green and peach shades, which makes it look very different. 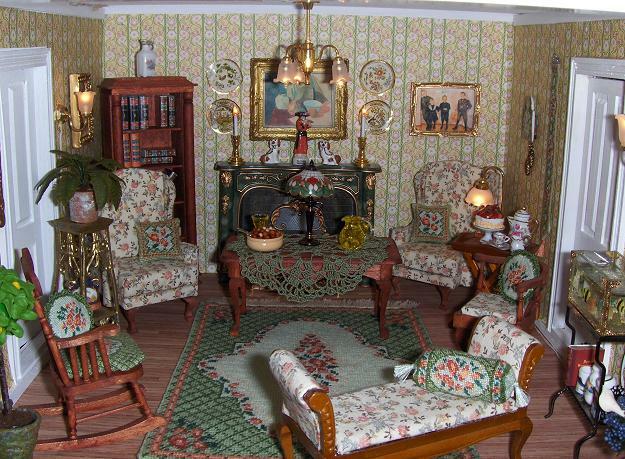 and another one of it taking pride of place in her fantastic doll’s house.